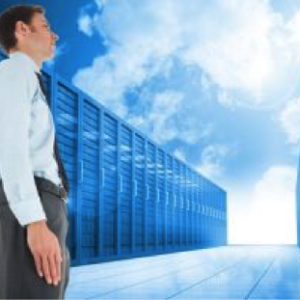 Both colocation and large enterprise data centre stakeholders welcome opportunities to simplify their complex businesses. That’s why so many are investing in prefab power skids to support their data centre growth. A power skid is a data centre power sub-system pre-assembled in the factory on an open metal frame structure. Power skids incorporate the major components of the data centre electrical infrastructure such as UPS, batteries, Automatic Transfer Switch (ATS), and switchgear. 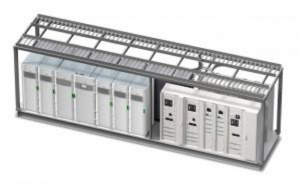 According to 451 Research, the prefab data centre market (of which power skids are a subset) is expected to grow at a five-year CAGR of 22.4% through 2019, at which point the market is expected to exceed $4 billion. Prefab skids have become popular because they provide a simple, integrated answer that addresses the need for rapid deployment of new compute capacity, and everything else that comes along with it (i.e., power and cooling infrastructure). Predictability – Skids are preassembled and pretested at the factory prior to delivery. The complete system factory testing reduces the prospect of integration-driven human error once the system is installed at the end user location. Thus, costly construction delays and performance surprises on the data centre floor are avoided. Also, the cost the end-user was promised at the front end of the project is equivalent to what gets charged at the completion of the project. (scope creep is avoided). Simplicity – In order to simplify the design process, companies like Schneider Electric produce pre-configured base designs of skids. The “menu” from which a skid is assembled is vast. Therefore, by first looking at base designs, data centre planners avoid having to pour over a near infinite variety of options and possibilities. A base design assembles best-in-class power components (UPS, switchgear, breakers, batteries), and planners can review the design and modify it to their particular needs. Then, once the base design is tweaked, the ready-to-use skid can be shipped nearly anywhere in the world. This saves weeks of data centre end-user planning work. Illustration of a 1250kW power skid with Galaxy VX inside. Efficiency – In the case of efficiency, the individual components selected within the skid matter. Many of Schneider Electric’s base designs include the latest in high efficiency UPS technology, Galaxy VX, which can be run in three modes (standard, traditional eco-mode and ECOnversion mode). In ECOnversion mode, the static bypass switch supplies the load with utility power while the inverter is on and operating in parallel with the bypass. In this mode, UPS performs power factor correction and harmonics filtering with total UPS efficiency of up to 99%, while allowing the inverter to take over to support the load in case of bypass utility failure. Therefore, Galaxy VX offers data centre operators less downtime risk. Such a UPS with its high efficiency and stable performance results in huge monthly OPEX savings. Scalability – Prefab skids are also scalable. A data centre owner with a projected need of 5MW of capacity can plan to phase in skids in 1 MW power blocks over time, and limit CAPEX expenditures to those precise times when extra capacity is needed. Oversized equipment no longer has to sit around the data centre floor taking up space and driving up cost. Wasted CAPEX expense can be avoided and funds can be used in other ways to grow your business. Speed of delivery – Prefab skids, because they are pre-designed and assembled in the factory, are characterised by extremely short and fast delivery lead times (as fast as 8 to 10 weeks, for standard designs). This allows colocation data centres, for example, to respond quickly to rapid upticks in customer data centre capacity demand. When evaluating prefabricated data centre power, not all skids are the same. 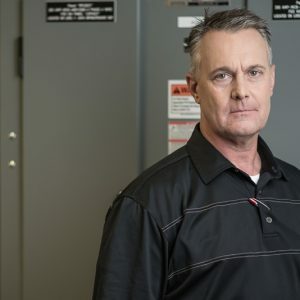 As a global supplier of prefab power skids, Schneider Electric has a long history of standing behind its products and has a large global organisation dedicated to strong post-sales support. We manufacture 80% of the components in our skids, have access to an expansive supply chain of products, and have the engineering expertise to configure the most efficient high performance solutions on the market today. To further explore prefab data centres see Data Centre Science Centre white paper #166 “Practical Considerations for Implementing Prefabricated Data Centres,” or click here to learn more about the Galaxy VX UPS.